in a veil, in tachash skins (the identity of this animal is uncertain), and a blue cloth, and was carefully concealed, even from the eyes of the Levites who carried it." So alot of people have been in search of the ark of the covenant since it went missing so long ago, the last stop I heard about on this search was at some place in the middle east, it was some kind of temple and they would only allow like one person to enter in there and no cameras, so really nothing can be confirmed about what the person saw...But its cool to think that such an object exists....It was said that if you look at it you would die, only a high priest could look at it and only at designated times so that points me in the direction that what the guy saw in the temple wasn't really it, I'm eager to see where the search continues to. That is not a very fair statement. Would you like me to stop printing (authentic) copies of the Bible, just because it could cause some form of international chaos/confusion? I agree with you there snyper. 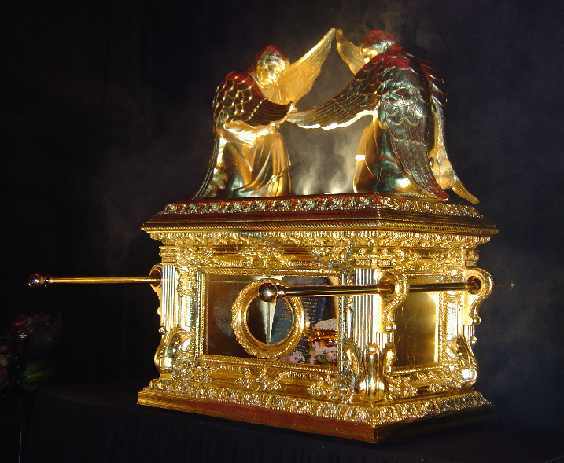 I believe a while back I read of Rastafarians claiming the ark of the covenant was in Ethiopia. Queen Sheeba of Ethiopia had visited Solomon and according to the Kebra Negast, bore him a son. There is also an ambiguous account of their meeting the bible. Apparently, Solomon was so enthralled by Queen Sheeba he sent many scholars to Ethiopia AND smuggled the ark to her. Can't recall why though? However, what I don't really buy about this whole ark in Ethiopa thing, is that, back in day, Ethiopa was a massive country. I belive the region we now call Sudan was a part of old Ethiopia along with several other African nations. Therefore, the arc could be Sudan for all we know and not Ethiopia. niqui wrote: Therefore, the arc could be Sudan for all we know and not Ethiopia. I concur with you on this. The question to be asked, is which religious group is protecting the secret hiding place of this ancient relic. A thing of such power, can't possibly elude an entire nation for too long, as 'someone' had to place it there to beging with. The 'secret' of its hiding place has to be passed down from generation to generation. happen, but the truth needs to be known. As scary as that sounds, it isn't much of a theory, after you've read the un-refined (still yet translated) book of Genesis. It leads me yet again, to go read the 'much' old(er) english bibles. Ye but the gnostic chapters are supposed to be like the hardest thing to get. I think u shud create a thread on the morals of takin out chapters of the bible. As for the arc, according to the scriptures, if i'm not mistaken, it was "destroyed" when Solomons temple was destroyed, of course no trace of it was never found. Sykotiq wrote: I think u shud create a thread on the morals of takin out chapters of the bible. I'm sure that the good book of Revelations, would have already highlighted this for you. tomorrow (Sunday) on the History channell (at7/8pm). There is this guy, who claims that he has the best possibility of finding it. I had already borne this in mind. The previous one, was titled " The lost Ark". I forgot the title for this one. I'm still skeptical that it will ever be found. I belive that theoretically, it should signify the end of the world as we know it. I highly doubt that there can even be actual guardians for an item of this nature. A secret of such magnitude is tricky to be passed down from generation to generation. Even the 'church' would have to document information on this. Hypothetically: If you knew where Noah's ark is located, would you really keep it to yourself all these years? 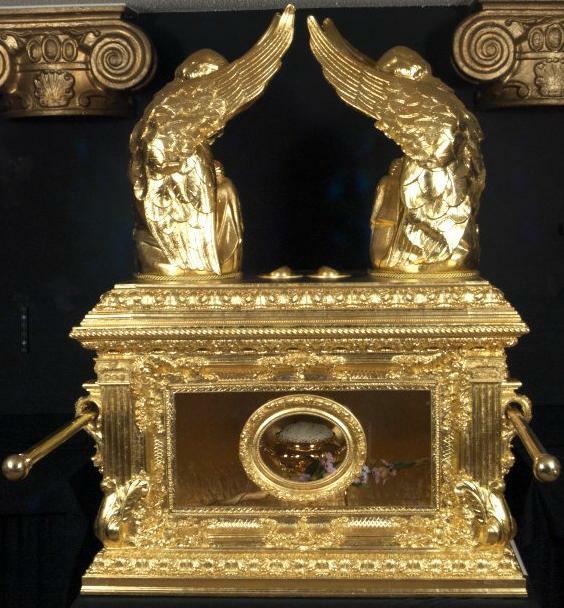 I don't see the real significance of the Ark of the Covenant, since it will most likely be damaged by now (and would have been aged beyond recognition). I don't believe that we should go around seeking items like these. Its costing taxpayers for explorations like this. No one is disputing this, but there are ancient questions that are left to be answered. The Bible didn't mention any transcribers who recorded the 10 commandments immediately as they were done. There appears to be no further documentation after God instructs Moses to mend the covenant (that he had broken in anger). Well in any case I believe the arc is not something that is to be discovered...if it was I think we wud've found it. Besides, if chanz is rite, can u imagine the death rate if ppl found it.